A new feature in the upcoming version of Premiere Pro will allow you to quickly add color grading to your video editing projects. 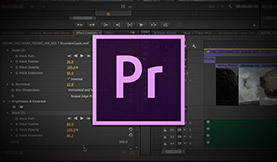 There’s a new feature in the upcoming version of Premiere Pro (currently called Premiere Pro “CS Next”) that seems simple but may well lead to a whole range of new look presets being available to users in the near future! This feature is the ability to apply Lumetri Looks directly to your clips or to adjustment layers in Premiere Pro – a quicker way to color grade your footage in Premiere. 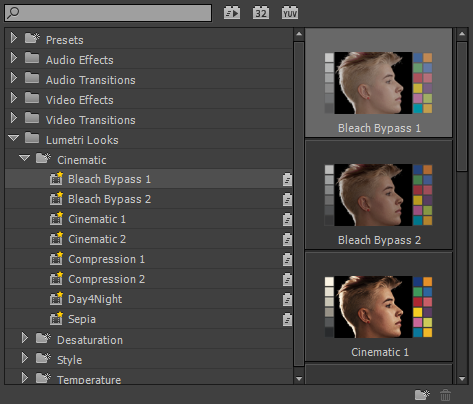 On the face of it, this is a simple feature, in that all you need to do is find the Lumetri Looks preset folder in the Premiere Pro Effects Panel, browse the various looks inside the categories and apply the relevant look to either a clip or to an adjustment layer. But after further inspection, I think that this Premiere Pro color grading feature offers a lot of future potential for video editors and third party developers. It will allow us to create, share, buy and use a very wide range of looks created from color grading applications, such as SpeedGrade, very quickly! 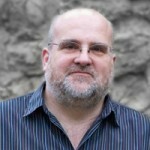 I suspect that already some people will be at work creating presets to sell as soon as the new version of Premiere Pro is released – and for good reason. You will be able to get and try so many different looks quickly and easily…great for the creative profssional on a tight timeline! First, I should start by saying that this feature is not really for animated color grades but for applying a fixed grade to an asset. If you need animated grades you will probably want to do that in SpeedGrade or something similar. However, if you have an asset that only requires a fixed color grade in Premiere Pro then this is for you! Let’s run through the process. While in SpeedGrade, I found a clip that I wanted to apply a color grade to. 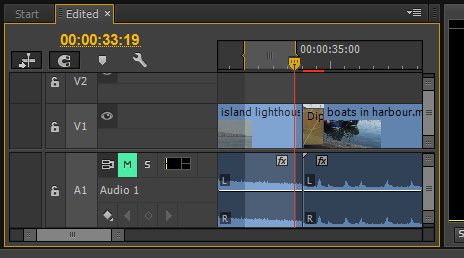 Then, in Premiere Pro CS Next I chose just a small fraction fo the total clip by using In and Out points in the timeline. 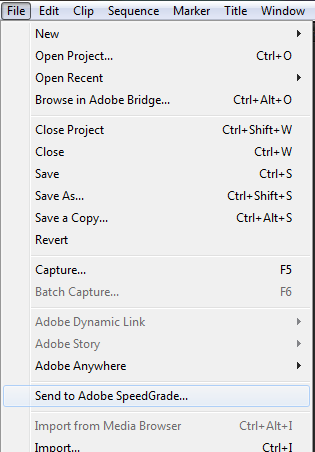 Then with the timeline selected I went to the File menu and chose > Send to SpeedGrade. It took a very short time to export the short selection. I chose a short select because the clip doesn’t change much over its length so a grade on a short selection is just as good as a grade on the whole selection. 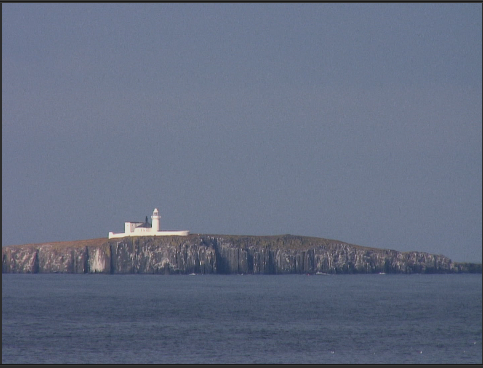 Then I did a simple color grade in Adobe SpeedGrade. 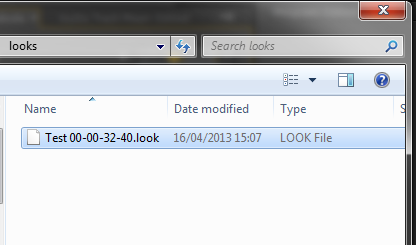 Next I moved to the ‘Look’ Tab in SpeedGrade and saved the ‘Look’ preset in a place I could easily find! Then I went back to Premiere Pro CS Next as I didn’t need to do any additional color grading in SpeedGrade. 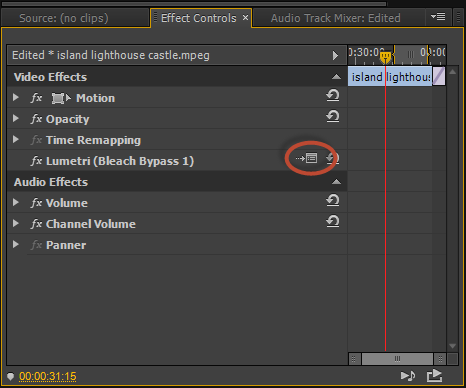 In Premiere Pro CS Next I found the clip on the timeline and applied ANY Lumetri Look to the clip and went to the ‘Effect Control’ panel. This set-up box is simply a link to your finder or file explorer and gives you the ability to navigate to any Look you have created in SpeedGrade and saved on your system. 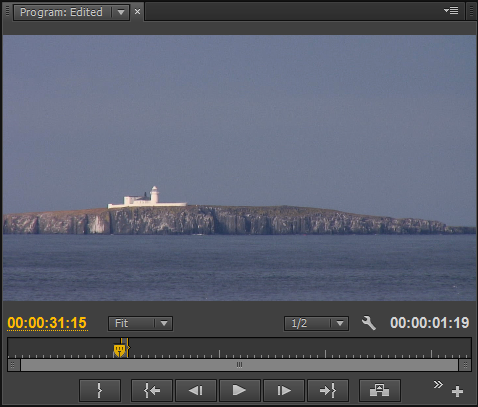 Simply navigate to your color grading LOOK and it will be applied to that clip – it’s as simple as that! 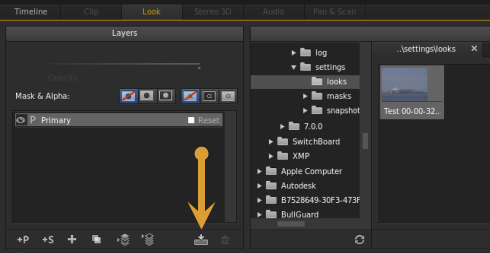 Currently, the Lumetri effect name in the Effect Controls panel won’t update (which is a real shame) but even so it will be your look that is applied, replacing the default look you dropped on the clip from the Effects panel. So, I didn’t need to export my project from SpeedGrade but was able to apply my grade as a ‘Look’ file directly inside Premiere Pro. For quick application of color grades in Premiere Pro this is a BIG feature. I look forward to seeing how this Premiere Pro feature gets used by you and all the excellent presets soon to flood the market!